A study led by Massachusetts General Hospital (MGH) investigators has found that the traditional model for the spread of carcinoma, the deadliest form of cancer — from the primary tumor, to nearby lymph nodes, to other organs — may not apply in all cases. 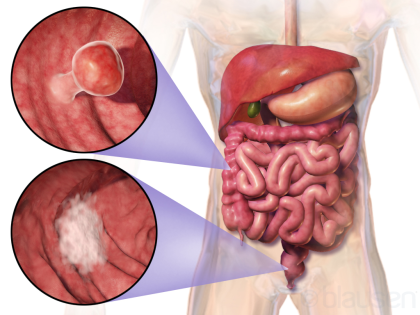 In their report in the July 7 issue of Science, the researchers describe finding that, for the majority of colorectal cancer patients in the study, “distant” metastases originated directly from the primary tumor, independent of any lymph node metastases. The current study is a follow-up to a 2014 report in which Naxerova and her colleagues described a simple assay that could reveal evolutionary relationships between tumors at various sites in a patient’s body. Based on analysis of small, mutation-prone segments of the genome called polyguanine (poly-G) repeats, that study found that relationships between primary and metastatic tumors were different in each case — for example, in some patients metastatic spread occurred early and in others late in tumor development. The assay was also able to identify specific areas within a primary tumor that had been the source of specific metastases, based on their genetic profiles. Treatment for most solid tumors now incorporates what are called TNM — primary tumor (T), nodal metastasis (N), and distant metastasis (M) — staging schemes. Patients with lymph node metastases are known to have a higher likelihood of developing distant metastases, implying a link between the two. But in several recent clinical trials the removal of metastatic lymph nodes did not always improve patient survival, casting doubt on the relationship between nodal and distant metastasis. To better understand relationships between primary tumors and the two types of metastases, the researchers used poly-G typing to analyze more than 200 tissue samples of primary tumors, lymph node metastases and distant metastases from 17 patients with colorectal cancer. In 35 percent of these patients, the results indicated that both lymph node and distant metastases had arisen from the same cell type in the primary tumor, findings compatible with the scenario of spread from the primary tumor to lymph nodes and then to distant sites. However, in 65 percent of patients, poly-G typing showed that lymph node and distant metastases cell types were different and matched different cell types within the primary tumor, indicating independent origins for these metastasis types. Naxerova says, “We now suspect that lymph node metastases simply indicate the presence of an aggressive primary tumor, rather than being directly responsible for the formation of distant metastases. Now we need to investigate whether clinical outcomes for patients whose lymphatic and distant metastases have common origins are different from those of patients whose metastases have distinct evolutionary origins. If there is a difference, our assay might be a useful prognostic test in the future.” Naxerova is a Research Fellow at the Edwin L. Steele Laboratories and at the Division of Genetics at Brigham and Women’s Hospital and Harvard Medical School.